Let us begin this Monday on an emotional note. 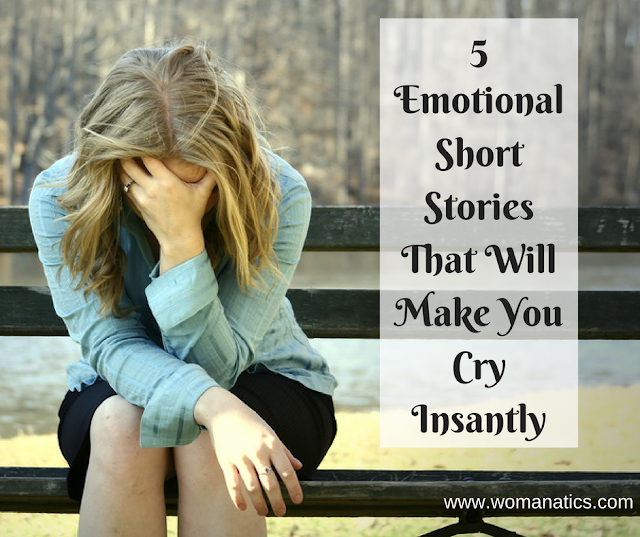 Today I am going to tell you five short stories that are so emotional that they will make you cry immediately. No, I do not want you to cry. I just want you to appreciate the valuable relationships we all have in our lives. After you finish reading, whichever stories or whichever relationships in it bring tears to your eyes, make sure you either call them or text them telling them that you love them! That is all I want for today. She moved her delicate fingers across his medals clad chest as she bade him goodbye. No bullets had him hit so hard as much as his daughters tears. A son took his old father to a restaurant for an evening dinner. Father being very old and weak, while eating, dropped food on his shirt and trousers. Others diners watched him in disgust while his son was calm. The old man retorted, “Yes, you have! You left a lesson for every son and hope for every father“. Haven’t these brought tears to your eyes? Let me know in the comments. If you enjoyed reading this post, you will love the ebook that comes for free when you subscribe to the blog. Go to the side bar, enter your details and get the two ebooks for free! Moments of Togetherness Are Moments of Strength Love Makes Life Beautiful! Nice one ! Reminds me that we need to give value to the loved ones rather than the materialistic things…. Very emotional !! The story of a lesson to everyone..really move me! It’s so touching that i wanted to run to my dad and kiss him and tell him how much i love him! Beautiful story! Loved all the 5 stories. All of them depict the same emotion "Love" but each in a different way. Having a loved one is the biggest treasure! I dont even want to get into that fear of losing any of my loved ones or not being able to say them I love You. Awesome start to the week Surabhi!! I can totally understand that Anitha. I have those fears too. And thank you soooo much for loving my work. Means a lotttt… really. very emotional !! !especially the last one.thanks and keep it up. The last one killed my heart so damn sad. omg same that’s the only one that made me cry so hard. i love this story pls do more i loved that one so emotinal. That story made me have tears in my eyes it’s like he knew he would die. This story is particularly emotional. greetings and I have been following you. please don’t get me wrong for I ain’t no harm. do you believe in love??? No words for these stories specially the 2,3&4 . Thanks for such beautiful stories. It’s always remember me. I loved all of these beautiful little tales of love especially the first one that poignantly speaks of father daughter relationship. 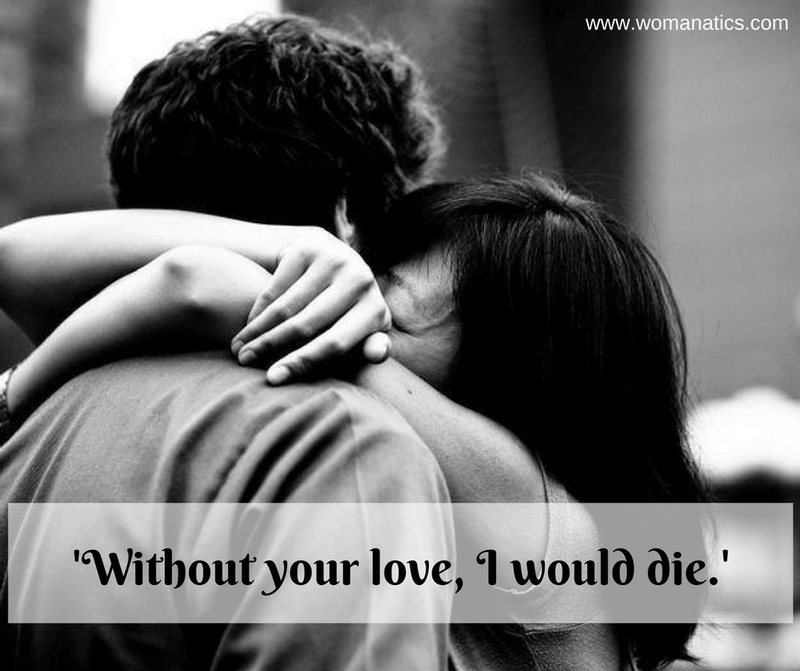 Yes, a kiss, a parting word, a hug can make your day. Your drooping spirits perk up atonce when you have that reassurance that you are loved the same. So true Maya. This one is also my favorite. I think I can relate it to Sanjay (mere wala Sanjay 😉 ) and Pahal. I know.. it brings me to tears every time..
you cant do this to me….this made me cry like hell…..
u cant make me cry …. So glad you liked them Purnisha. Thanks for being here with me. feeling so loved after reading this..looking forward to more of your posts..
First of all thank you for sharing such beautiful and heart touching stories. There is something to learn in every story which inspires us in our day to day life. Keep posting ? Hey Dear, I have been in that situation when I wanted to express my feelings to somebody but didn't. And I learnt that in such situations, you have two ways – either say it and then dont care about his/her response OR just don't say it and move on. I hope you find a way out soon. Hugs. greetings, the words that are coming out of ur mouth are strong, did u leave with ur grand ma before? Great stories ever read, heard. i do have same story and i salute for these stories. Thank you. Will add few more to the list Miranda. Will surely add as and when I read good stories. Will try to add more as and when I find them. The apple one made me emotional. But they were all good! Thank you Sandip. Glad you liked them. Simply Awesome stories which made me feel what really matters in life is Love and people who love us truly as we are sans any conditions attached to it. Really great. Yes. The emotional quotient is overwhelming. After many days I have got to deal with it so strongly. Keep sharing and keep posting. Thank you Ratikanta.. Glad you liked the stories. Straight like an arrow in my glassy heart. Great stories. Happy to know that you liked the stories. Owemome stories……All these stories touched my heart ……Really your selected stories are very much appreciable ….. Thank you Amit. The writers of these stories have done a good job! So sad the last story legit made me teary??? Yea you are true. The last one story bring tears in my eyes. Yea you are right. The last one story bring tears in my eyes. I cried for all of them so sad and Hart warming especially number 5 love is always the answer keep up the good work? I love all of the 5 stories but I super love “The Sweeter Apple and The Kiss”. I am also a father/dad of an 11 month old baby girl who’s turning 1 year old this August 21, 2017. I love you very much Babey Ieizhe Ellieztine. I know. These do make readers emotional. Lovely stories: poignant, touching and heart wrenching too! They just hit the cardiac centre and leave us lachrymose. We realise that we are still humans with discovering our deep seated emotions which in the present mechanical life are generally recede into oblivion. Sorry typo error in my earlier comment. Kindly read the last phrase as ‘life generally recede into oblivion. So true Avinash. Are you in the medicine field? your language suggests so. No, But I once aspired to be a Doctor and couldn’t succeed. Now I am a Government Servant. and I wish to be a writer of acclaim. I have got one romantic novel published last year. It’s “My Red Butterfly”. If you wish to read it, you may get it on Amazon. Great. Would love to read it sometime. If you don’t mind, can you explain the “Without Your Love, I Would Die” story’s last two lines. Because i didn’t understand fulfil. The Below listed three stories are very nice. First one for every youngsters and arrogant peoples because now a days most of people don’t care for old peoples. Second story reveals the good mothers love. Third story reveals true love. I really love these stories toooooooooooo much……. they are not just emotional but inspiring too…. Please keep on posting such marvellous stories…. I loved all the stories.. especially the last 1.. too emotional.. it was heart-touching.. The sweetest apple is so sweet I hope my kids can be like that. #2 source is Shefali Vaidya. Look Lee up on face book to find the original post. All stories so touching and so beautiful. Thank you . “The sweeter apple”, now that is true love for mom!! It made an old man……., well, I hate ro admit, but……cry. Beautiful. very heart touching and lovely stories. i liked all. Those people are lucky who have all the loved ones mentioned in the stories above. amaizing we need to remember our respect for our parents our bro our sis and finally our love……………………..
thanks for sharing these lovely short emotional stories, they brought tears on my eyes and left me valuable lessons in life, they are worth sharing with family and friends. .It was only the last one that was touching, but it lacked something. U need to do something a little bi more to make it remain on people’s hearts. U didn’t show us the girls reaction and feeling after reading the note. But thanks for sharing. Is it bad that I didn’t cry? It just made me cry bitterly… ? This story makes me burst into tears and I’m a state prison guard. I’ve seen terrible things. I love an everyman hero. If you love some guy that’s just a good guy saving the world, you will love this story with your heart. Such a great read! The second one gave me tears. It took me back to the time when dad used to work in another city and visited us twice a month. Once he was going back after the weekend and I was asleep at that time so couldn’t bid him goodbye. I cried so bad when I woke up and when he got to know he took a day off and came to meet me.